NEW YORK -- Three-dimensional printer vendors and service companies had plenty of impressive and imaginative printed items on display at the 2014 Inside 3D Printing conference and expo. 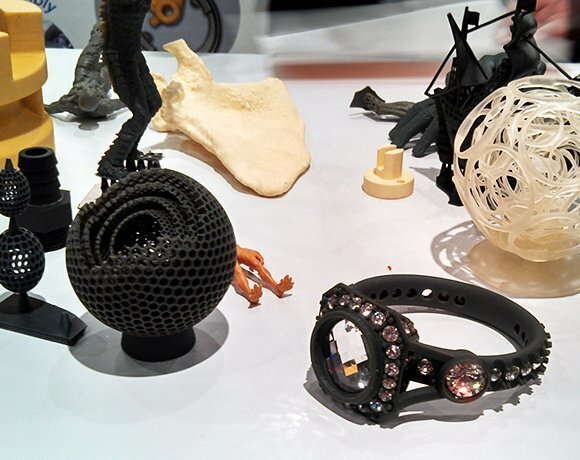 Attendees crowded the bottom floor of Manhattan's Jacob K. Javits Center to see how far 3-D printing technology had come since 2013's conference. With nearly twice as many companies displaying their wares this year, it was clear that the market shows no sign of slowing down. Some exhibitors, such as German 3-D printer manufacturer EnvisionTEC, took the opportunity to showcase the intricate items that can be produced with a 3-D printer. As shown above, the items ranged from action figures and busts to complex geometric models and even jewelry, including bracelets and rings. One question. Can 3D printing make a face from a computer scan picture?